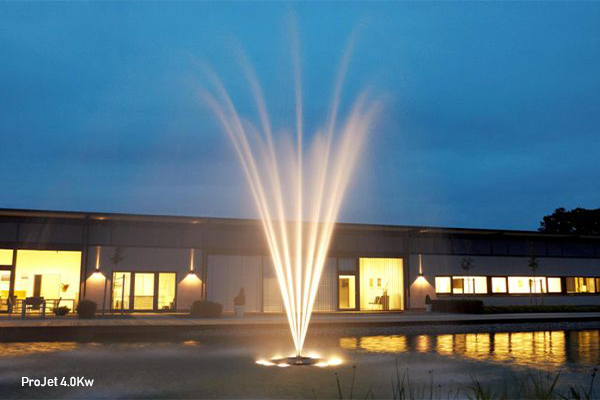 Browse our range of floating fountains, ideal features for deeper ponds and lakes where water level fluctuations are common. 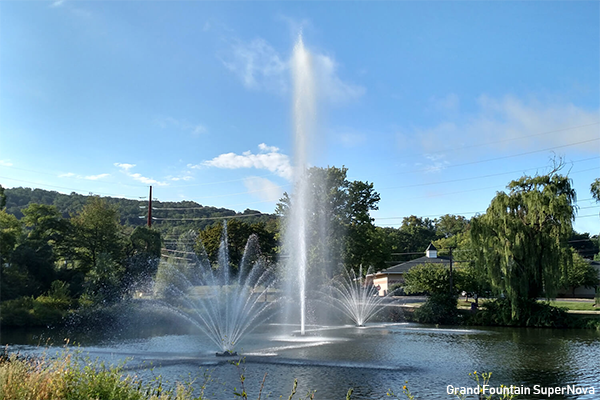 Floating fountains are ideal features for deeper ponds and lakes, waters where bottom sediment is present and waters where level fluctuations are common. A floating unit incorporates a pump suspended above the bottom that will circulate water in clearer conditions nearer the surface. 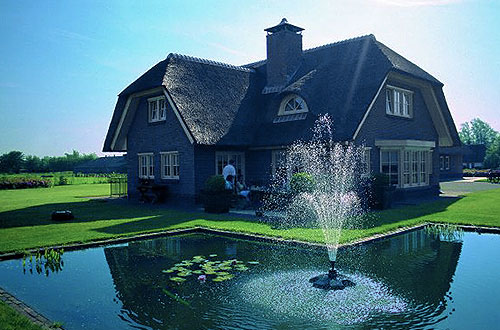 If water levels in the pond or lake fluctuate, the fountain will automatically compensate for these changes in level, rising and falling with the water level. Floating pumps are capable of producing very large, high impact displays. • Solar features and OASE Water Starlet are perfect for use in garden ponds. • The Pond Jet is ideal for larger ponds and small lakes, producing a 12 water jet display at around 3 metres high. • The 5-in-1 Aerator provides both decorative and oxygenating qualities, capable of turning over vast amounts of water with comparably low consumption. 4 nozzle chambers are supplied to create different water patterns. The pump can also be rotated for horizontal circulation. • The Air Flo LM will produce a decorative display but is also an effective aerator, capable of aerating and circulating lake waters up to 15,000m² (3.7 acres). • Pro-Jet floating units are available in single and three phase options. These provide stunning water jets of up to 16.5 metres with different nozzle patterns available for selection. • Models Gemini, Comet, Tristar and Equinox produce large, attractive, high volume display patterns, circulating water through the powerful 2.2KW corrosion resistant motors. These units also offer good aeration benefits, the Gemini, in particular, is an excellent aerating fountain. • All fountain sets are available with lighting options to extend your enjoyment throughout the evening. High-quality aquatic products matched with outstanding performance.